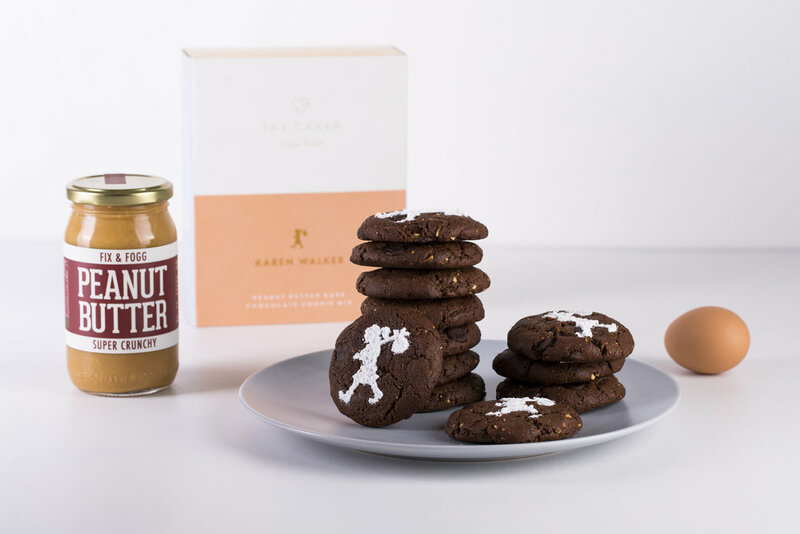 After releasing my Mother's Day Collaboration cookie kit with Karen Walker, I was so excited to share how simple and delicious the chewy Peanut Butter and Dark Chocolate cookies were! Because the only two things you need to add to make the cookies is peanut butter and one egg, it was so important to me that people were using good quality products - cue Fix and Fogg! You wouldn't believe how much peanut butter is consumed on The Caker premises by myself and the Caker girls every week. We go through jars and jars, with hot sauce, with banana, with anything we can slather it on, and Fix and Fogg is our go-to brand. Based in Wellington, Fix and Fogg make the most incredible 'Super Crunchy' peanut butter that's full of flavour, and as the name would suggest, it's packed with chunks of toasted peanut. It makes the perfect accompaniment to this cookie mix. We also hosted a masterclass with Fix and Fogg, where attendees learned how to make and decorate my Peanut Butter and Strawberry cake.